The Brighton food scene is pretty spectacular these days with great restaurants, food shops and producers increasing in number year on year. I joined Brighton Food Tours on their VIB (Very Independent Brighton) guide which celebrates some of the local indy food and drink scene gems. 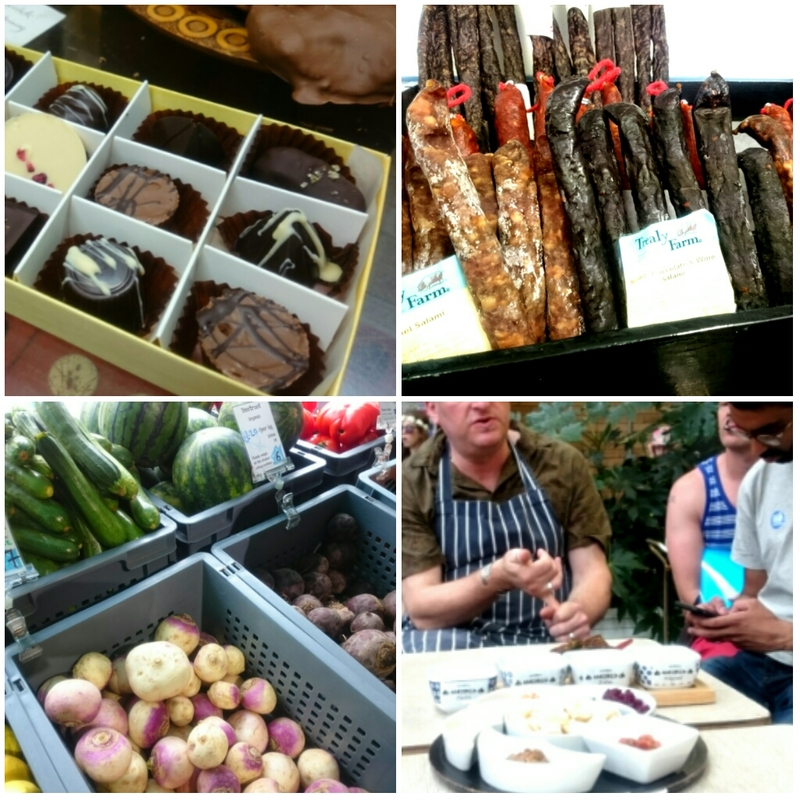 Over three hours we were taken around to visit a selection of shops, cafes and producers with plenty of tasters and the opportunity to purchase products with a discount. I won't spoil the exact itinerary for you as part of the fun is the unknown, but there was a wide choice of places that had been well curated into an entertaining tour, so three hours seemed to fly by in no time at all. Living in Brighton all my life with a keen eye on the food industry meant that I knew everywhere I visited apart from one film-set worthy chocolate shop (with the most incredible hot chocolate for sale, Oh my GOODNESS). But if you are new to Brighton, were visiting for the day, wanted an alternative gift idea or are not that well versed into the nooks and crannies of Brighton food, then a tour like this is ideal. We sampled some gourmet hummus, a very special sausage (stop it! 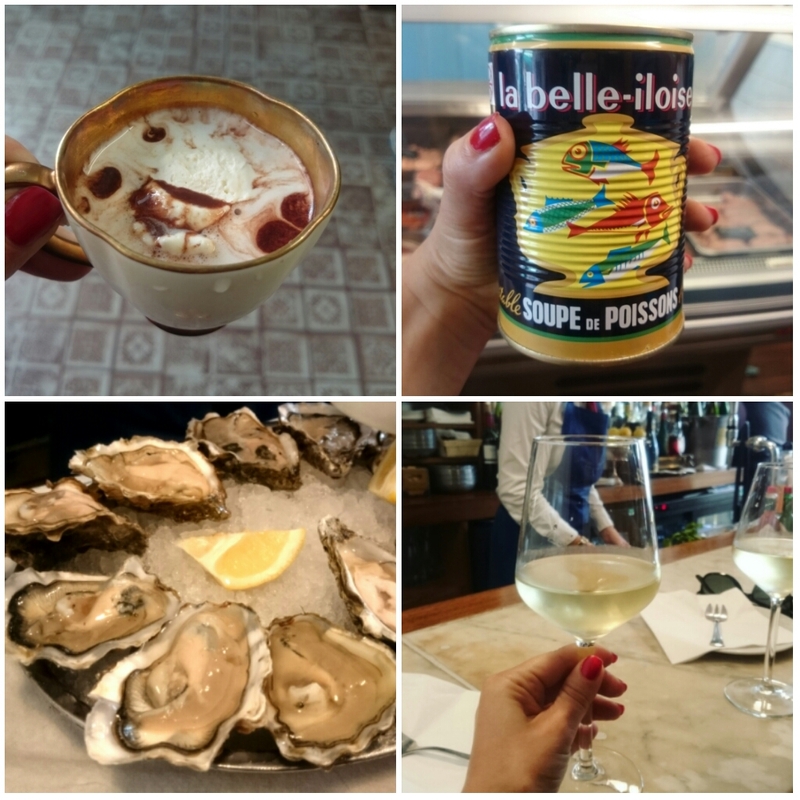 ), decadent chocolate, iced matcha drinks, visited my favourite gelato shop and finally propped up a fancy marble bar to down some oysters. So you can see it was diverse and entertaining and there was some historical trivia thrown in for good measure as we walked around too. All the places we visited were very informative and friendly with the right ratio of chat and eating! From the sounds of it there may are some more tour subjects in the making, like a foodie Christmas shopping tour which is a great idea. I would also love to see something like an afternoon tea crawl, Brighton restaurant tasters, or a tour of some of the very underground places and producers. 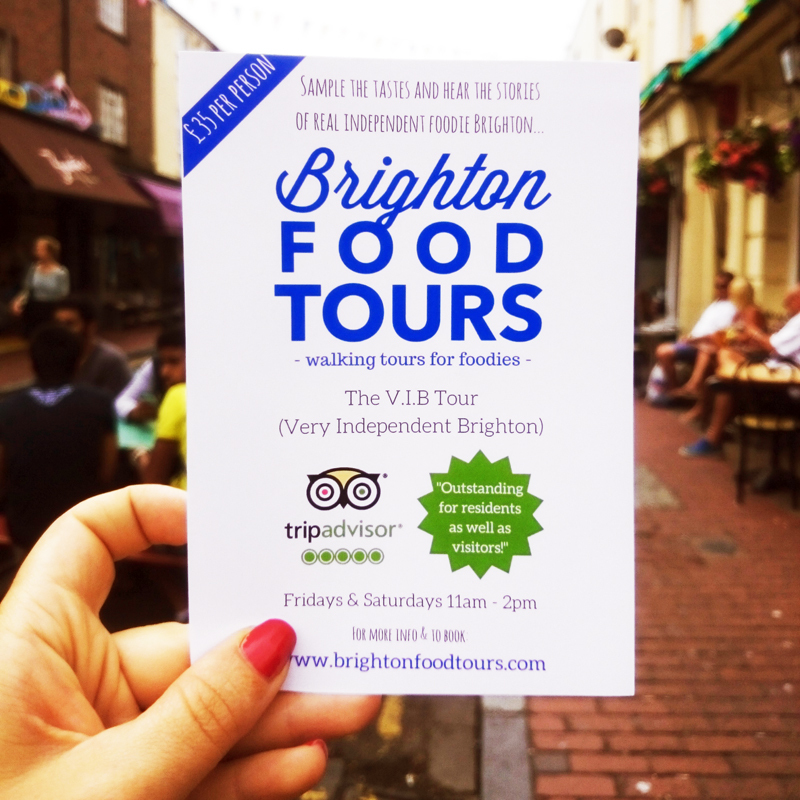 I joined the tour as a guest of Brighton Food Tours. Words and thoughts, as always, my own.